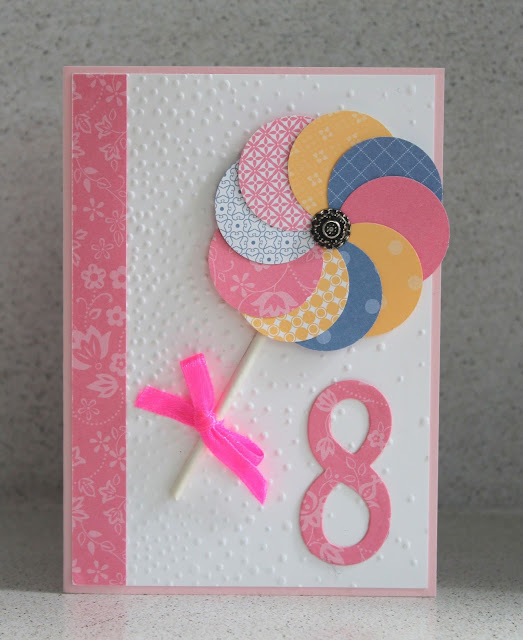 I posted a picture of my daughter's birthday card here earlier in the week. 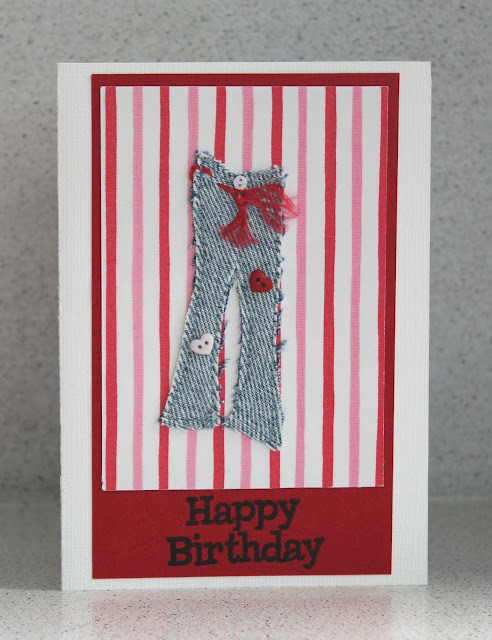 Now its time to share with you two of the other handmade birthday cards she received. She actually received three handmade cards. One was from a friend at school who spent his Saturday making it for her and then on Sunday (her birthday) asked his Mum to drive him to our house so he could give it to her. So sweet. Anyway, back to the cards I have photos of. The first was made by her Nana. I love the way she has used lots of circles to create a lollipop. Next, this one was from Gran and Grandad in Napier. I love the tiny little buttons decorating these oh so cute pair of jeans.